Baldwin punched a stranger over a parking dispute near his home, police said. 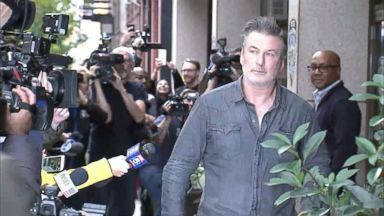 Reporter: Tonight, actor Alec Baldwin in trouble with the law. He punched a man who allegedly took his parking spot. He's been seen in the past in heated confrontations with photographers right outside his home. 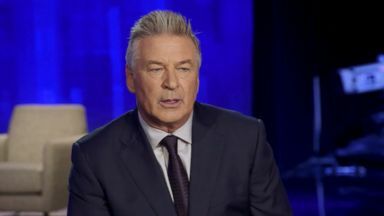 Baldwin's portrayal of the president on "Saturday night live" has made headlines and often led to verbal jabs with trump. The president asked about his arrest. I wish him luck. Reporter: Baldwin also has a new talk show. The network saying it will air it as scheduled this Sunday night. And those charges are considered misdemeanors. He will go to court at the end of the month to respond. And Baldwin is now flatly denying the incident on Twitter. Quote, the assertion that I punched anyone over a parking spot is false. Baldwin allegedly punched a stranger in a fight over a parking spot. He was arrested and charged with assault and harassment after the incident outside his New York apartment building.